セイレーン [seiren] in Japanese. Note that this corresponds to the original Greek pronunciation of the word more than the modern English one. 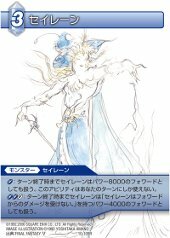 Siren has appeared once under the Water element in the FF-TCG.